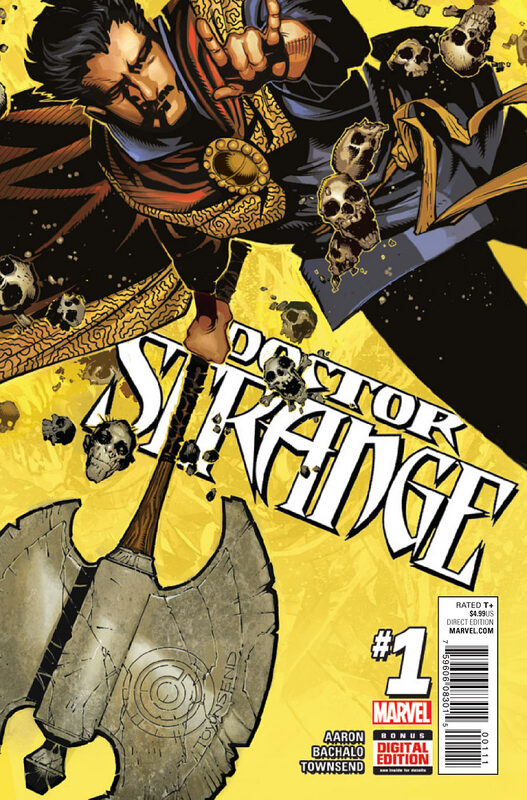 Matt C: It’s been a rocky road for the Sorcerer Supreme. 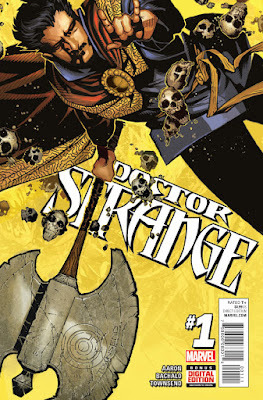 Two decades have passed since his last ongoing series but thankfully he’s always remained a perennial figure in the Marvel Universe, served by a number of miniseries along with a supporting role in various Avengers books over the last decade (as well as being a pivotal character in the current Secret Wars event series). Created by Steve Ditko, with some assistance from Stan Lee (natch), Strange flourished during the ‘60s and ‘70s when the emphasis was on cosmic, psychedelic stories in outlandish, mindbending dimensions, but while many of his ‘Marvel Age’ contemporaries achieved enduring popularity across the decades (Spider-Man, Captain America, Hulk et al), Strange fell out of favour, with the impression being that the House of Ideas was noticeably out of ideas when it came to making him accessible to a wider audience. 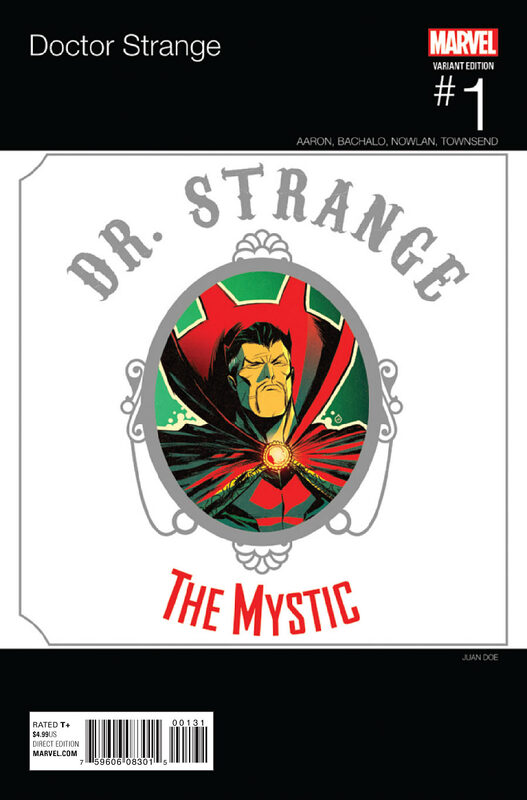 There’s no doubting the ongoing affection many have for the character though, particularly in the creative community where there was an obvious desire to include him in numerous storylines, and now, with Marvel Studios’ head honcho Kevin Fiege's long cherished dream to get a Doctor Strange movie in the cinemas reaching fruition, there’s a definite need to get the Master of Mystic Arts back in spotlight again. And who better to take on such a task than arguably the most versatile writer working in mainstream comics right now, Jason Aaron. Aaron’s work on titles as diverse as Scalped, Wolverine And The X-Men, Star Wars and Southern Bastards has shown how easily he can navigate around different genres, adjusting his style to move from bleak brutality to freewheeling fun, and although there are other writers who would no doubt have interesting takes on Stephen Strange, Aaron seems in such rich vein of form at the moment it’s understandable why Marvel would go directly to him. And, on the basis of this hugely enjoyable first issue, they made the right call. With Chris Bachalo on artistic duties (more on that shortly) there is an obvious similarity in tone to their work together on Wolverine And The X-Men, and it’s clear that humour is a key factor for Aaron in finding a way to make the character appealing to a modern audience. It’s not an out-and-out comedic approach though, and there are plenty of indications threaded throughout that something bad is coming, leaving the impression that when it does arrive, wisecracks alone won’t hold it back. Aaron makes Strange likeable, outwardly appearing to be suave and egotistical - always with an eye on the ladies - but it all masks the fact that his ‘job’ takes an extreme toll on him, both mentally and physically. His interaction with some fellow magicians is well realised, and there’s enough weirdness on display to suggest Aaron isn’t going to be afraid to get further ‘out there’ as he goes along. Bachalo is on top form, translating and embellishing Aaron’s crazy concepts, often at the expanse of traditional panel composition, but always in an arresting and inventive manner. Of particular note is the sequence where we see how Strange can view the world, witnessing the interdimensional bacteria that attach themselves to unsuspecting individuals. It’s a perfectly choreographed scene, with some judicious use of colour, one that is both humorous and unsettling, and it bodes well for what’s to come.